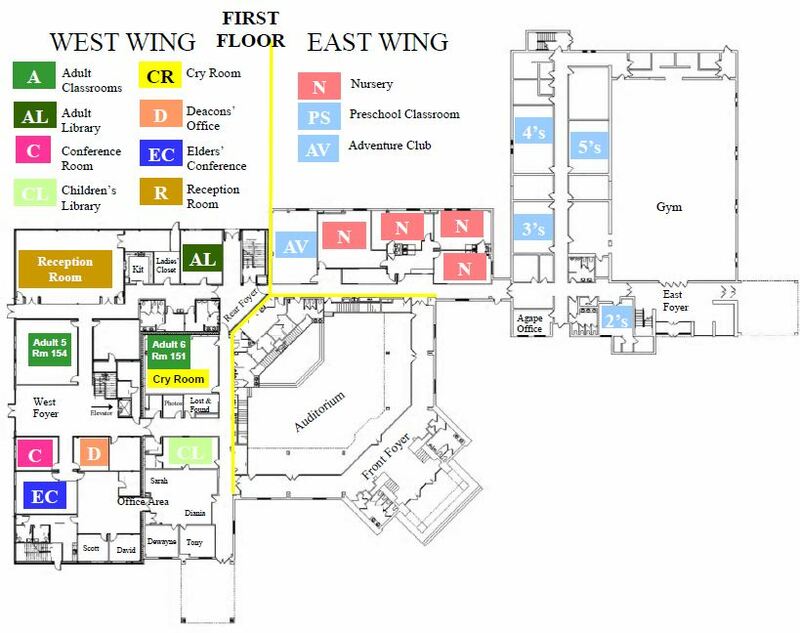 Please use the following map of the building to familiarize yourself with the location of classes and entrances. 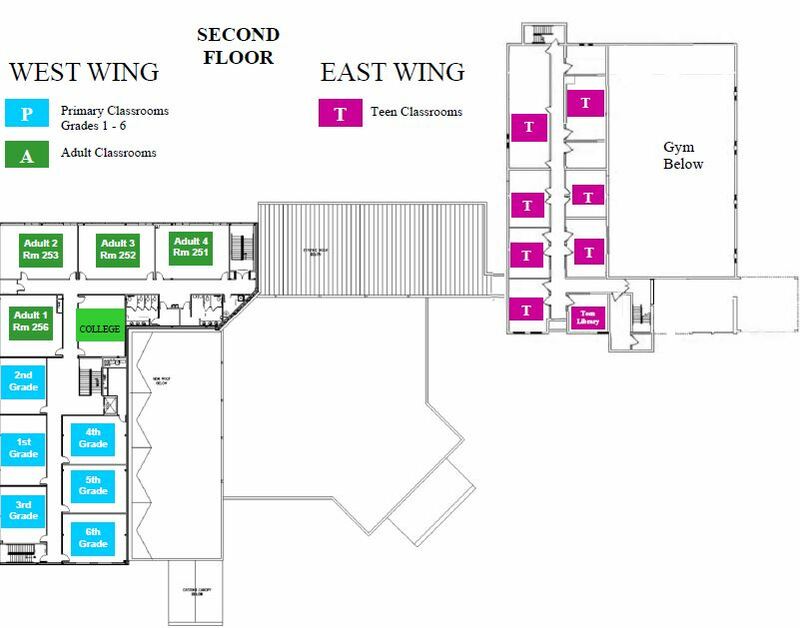 If you have any questions, we have greeters at each entrance on Sunday morning. Just walk up and ask and they or anyone in the congregation will be glad to meet you and help point you in the right direction.